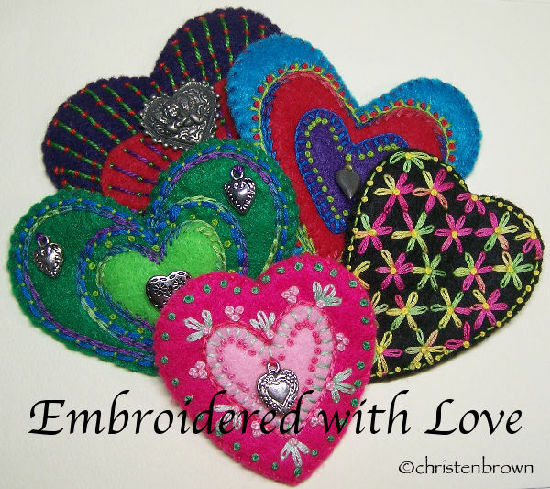 The first is Embroidered With Love which is an in-person class that I teach in stores or at conferences; and the second is Embroidered From The Heart which I teach on-line. These are a few of my 1-of-a-kind pieces, from that pile above. I have put them up for sale in my Etsy Store.